Within just the past few years, the way the world has seen gender has greatly changed. Gender no longer has to be a binary, or strictly black and white. People are expressing their genders in different ways, and those who have struggled with their gender identities are finally finding ways in which to validate their true selves. In the media, there has been an increase in visibility for transgender individuals. Many transgender celebrities have been open about their struggles with gender and their journey to transition. People like Caitlyn Jenner, Laverne Cox and Janet Mock are now household names. With this increased visibility and awareness has also come the breaking down of barriers by transgender people. Transgender people have been appearing all over the media, in movies, television shows and magazine covers. Some, such as Caitlyn Jenner, have even transitioned publicly. Thanks to the bravery of those individuals who have put themselves forth to the public, many doors have opened for others who wish to do the same. One such person is Benjamin Melzer, who became the first transgender man to grace the cover of Men’s Health in Europe. Melzer is a 29-year old model from Germany who has become one of the many transgender individuals to break down barriers in the public eye. Melzer appeared on the cover of the April 2016 issue after becoming one of the five finalists in the cover contest for the German edition. Melzer sports a chiseled physique, well-groomed facial hair, sparse tattoos, and an air of masculinity that enticed many readers of the magazine. He has dedicated much time to his physique since beginning his transition in order to be in the best form possible. His dedication to physical fitness is one the main things that landed him the cover. While his physique may be impressive now, it was a long road to get to the point where he is currently. Melzer began life as Yvonne, as tomboy-ish young girl who had conflicted feelings regarding gender. Melzer was never attracted to traditionally feminine things when he was younger. “I was never a typical girl. As soon as I started thinking, pink was a no-go,” Melzer said in an interview with People. For many this would simply indicate a tomboyish personality, but for Melzer, he know that here was much more to his aversion to feminine things. However, when he was younger, there were not many transgender role models in the media, and there certainly was not a lot of information about being transgender. Being transgender is much more than surgeries and physically transitioning. There is also an important mental element as well. The first step is coming to terms with one’s gender and accepting one’s true identity. Growing up in Germany, there was not a lot of acceptance for transgender people. Melzer was born in a small village and did not have many peers or mentors to reach out to when he discovered his true gender identity. However, he was still able to access some resources and began to learn more about gender re-assignment surgery. When he revealed his intentions to his parents, they were not immediately accepting of his identity. This is another hurdle that transgender people face: acceptance from family and people close to them. The opportunity to be on the cover of Men’s Health came when Melzer entered the “Ultimate Guy Cover Contest” and became one of the top finalists. His being on the cover garnered a lot of attention, even receiving a supportive social media post from Ashton Kutcher. Melzer was not the first transgender man to ever grace the cover of the magazine. In the United States, Aydian Dowling won the reader’s choice pick in the Ultimate Guy Cover Contest with over 72,000 votes. Both Melzer and Dowling have helped transgender visibility grow leaps and bounds. Melzer wishes to be the voice for people of all ages and walks of life, transgender or not, who want to learn more about his journey. There may be young people struggling with their gender identity, or loved ones of transgender people who wish to learn more. Being on the cover is just a small part of what he wants to do with his exposure. 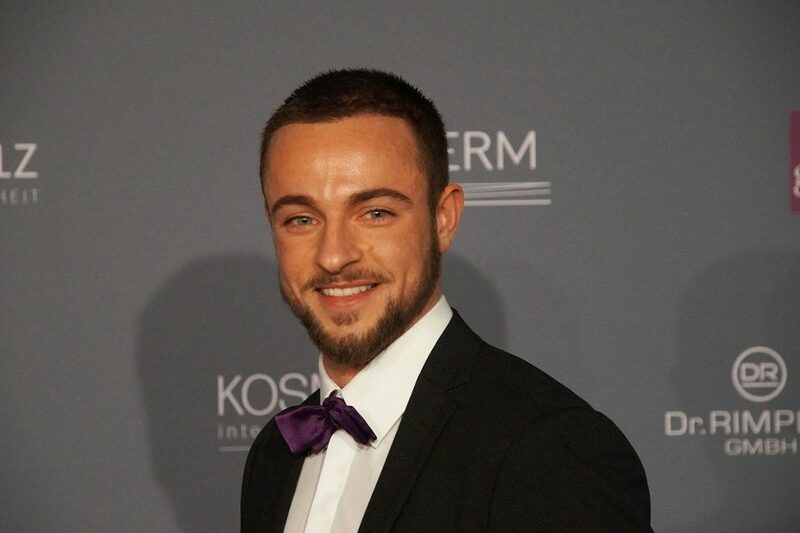 Thanks to brave individuals like Benjamin Melzer, the general public is learning more about being transgender and becoming more generally accepting. Also, he is presenting himself as a role model for younger people who need someone to look up when they are exploring their gender identity and learning more about themselves.